Look how easy it is to make the perfect floral design! 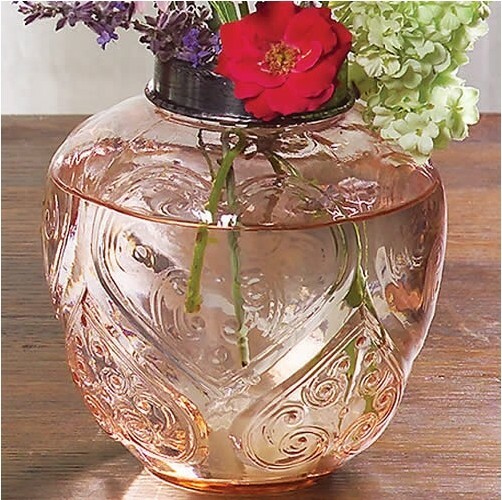 These vases all feature metal and wire crisscross lids to make the perfect arrangement. Team these with our table standing angels for the perfect centerpiece all year long for every season. Ordering instructions: Find the item you want, click the "Add to Cart" button. You will be taken to your cart where you can change the quantity to order or remove the item if you change your mind. Click the "Continue Shopping" button to add more items to your cart. You can view your shopping cart any time by clicking on the "View Cart" button at the bottom of the page. Only clear frog jar available.